One race closer to Vettel’s fourth title and the third consecutive race with a Vettel-Alonso 1-2 finish. The Singapore GP was the 13th race of the season and Sebastian Vettel’s 10th podium this year. Vettel and Alonso are the only two drivers that have reached Q3 at every race so far, but Vettel is the only one that has also outqualified his teammate at every race. One more Vettel/Alonso stat for you, Vettel’s fastest race lap was just over 2.5 seconds faster than Alonso’s. Sergio Perez made his 50th race start at the Singapore GP, and his eighth place took him to over 100 points scored in F1. Not much else happened in Singapore! 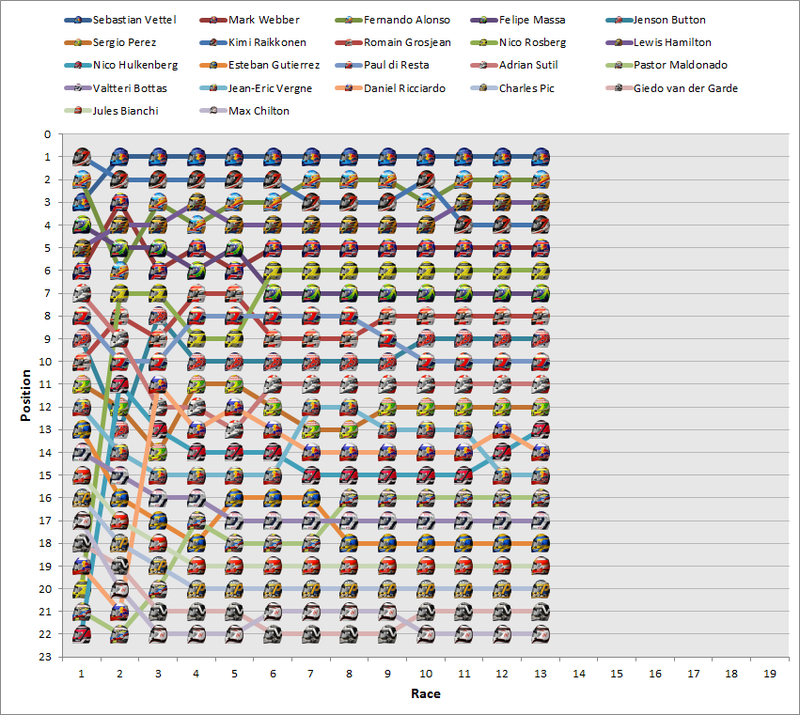 Only one change in the Drivers’ Championship, Nico Hulkenberg has moved up to 13th place, above Ricciardo, after his ninth place, but only by a single point. 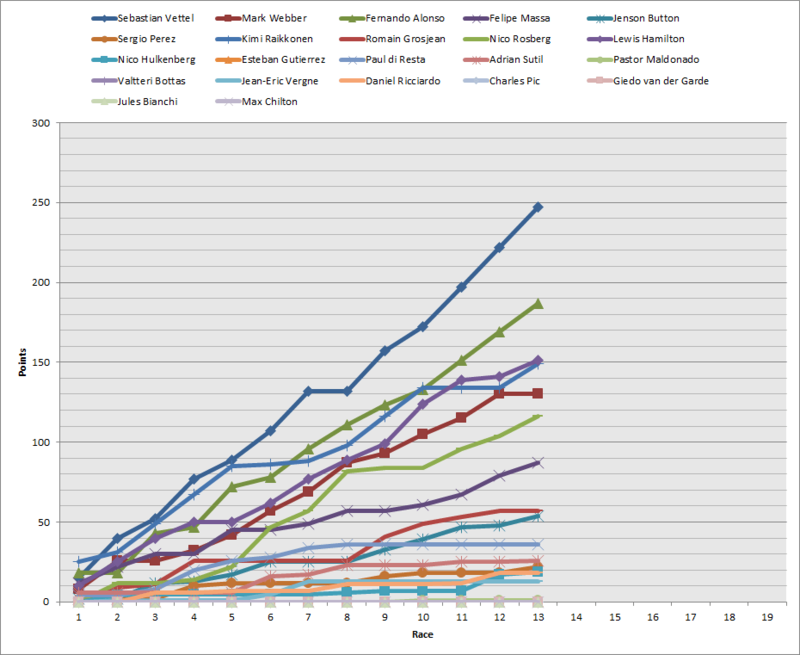 In the Constructors’ nothing has happened at all, but Red Bull are getting even closer to a fourth consecutive title. Kimi Raikkonen is closing back in on Lewis Hamilton for third, Vettel’s gap increases further.